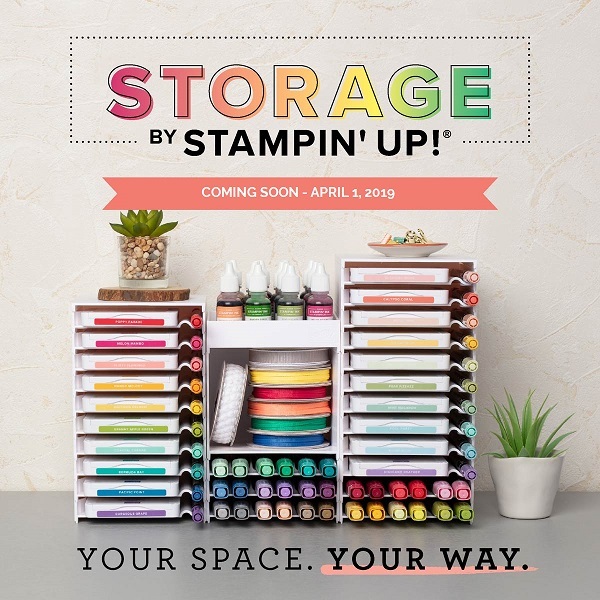 Hi, who doesn’t love a card kit? I sure do! There are times when I don’t feel very inspired but I really want to create. This is where a card kit comes in handy. 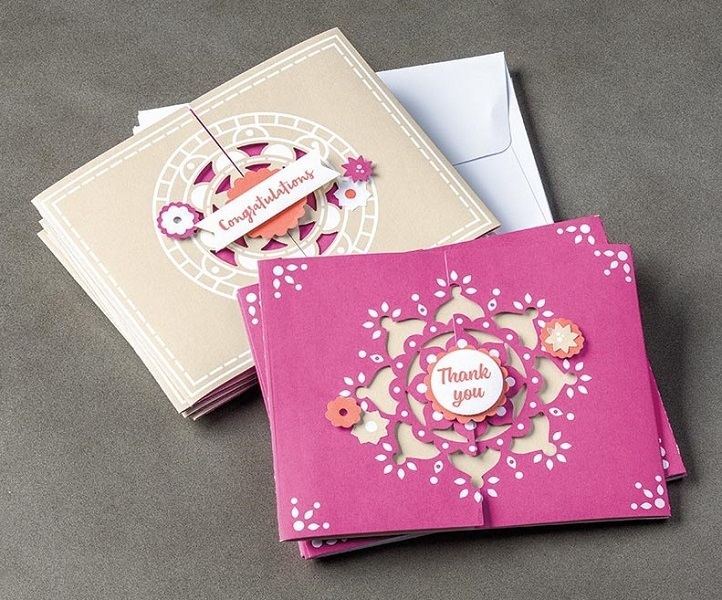 The new Mixed Medallions card kit is one which you could earn for FREE with a qualifying order during Sale-A-Bration. 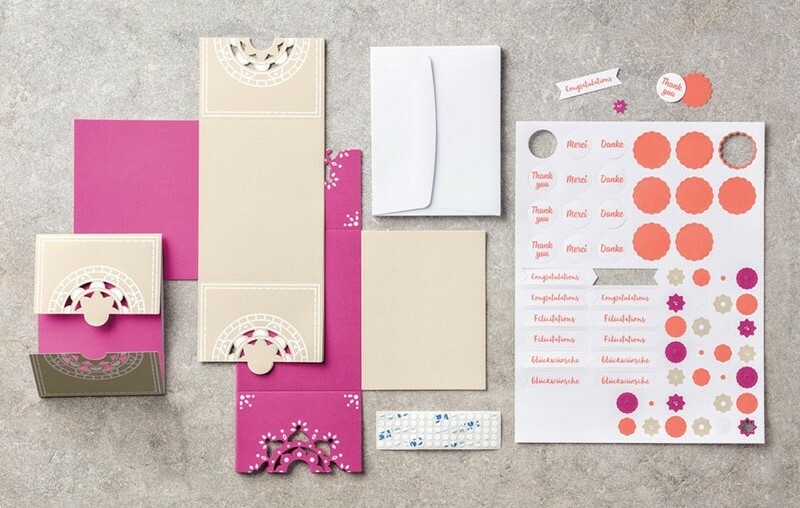 What I like about this particular kit is that it includes everything you need to make the cards plus the cards are trifold cards – so fun! 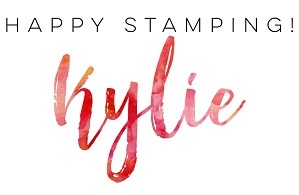 Let’s take a closer look at the kit with a video produced by Stampin’ Up! This kit lets you create eight trifold medallion cards in no time! Sale-A-Bration runs from January 1 to March 31, 2018 and it gives you the opportunity to earn FREE products for every qualifying order you place! For every $90 you spend, you can select a FREE Level 1 item from the Sale-A-Bration catalogue. You can see the great items here. If you spend $180 you spend, you have the option to choose TWO FREE items from Level 1 or ONE FREE item from Level 2. You can see the fantastic Level 2 rewards here. Of course, if you have a huge wish list, then Sale-A-Bration is definitely the perfect time of year to get them (or to consider joining my team as the benefits are even greater!). 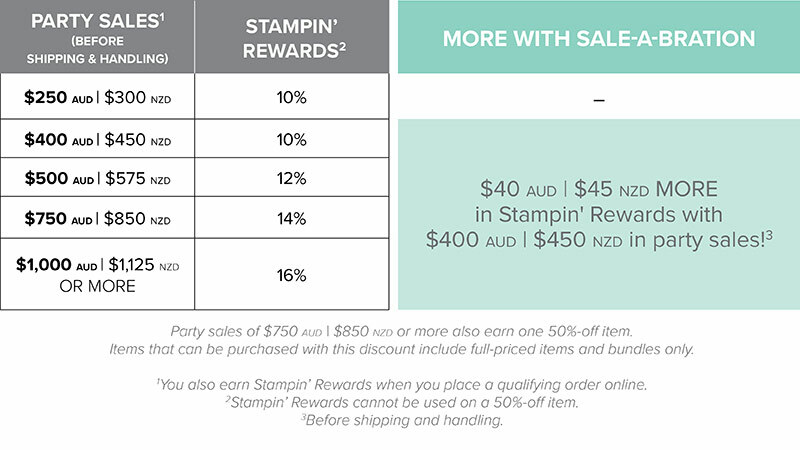 If you order more than $400 worth of goodies you receive your 10% Stampin’ Rewards as well as an extra $40 in Stampin’ Rewards!